"Downton Abbey: The Exhibition" is coming to a city near you! The costumes! The estate! The set design! TV phenomenon, Downton Abbey, may have ended in 2016, but thanks to a fully-immersive exhibition, fans have a chance to get up close and personal their favorite aspects of the British period drama. NBCUniversal International Studios announced on Wednesday that Downton Abbey: The Exhibition will make its U.S. debut in New York City on Saturday, November 18. The exhibit promises to "connect fans with their favorite characters, costumes, locations and historic events of the era, as well as showcase never-before-seen footage." The Crawleys and their devoted servants will be back...on the big screen! "Debuting in 2010 and now seen in over 250 territories, Downton Abbey quickly became a global phenomenon, especially in the US where the series established an incredibly loyal and avid fan-base," said Michael Edelstein, President of NBCUniversal International Studios. "Downton Abbey: The Exhibition continues this extraordinary legacy and gives viewers an exclusive invitation inside the series’ beloved characters, storylines and sets." The exhibit will recreate not only the Crawleys upscale living but also the world of those who served them. The set displays include Mrs. Patmore’s busy kitchen and the family’s luxurious dining room, plus more. 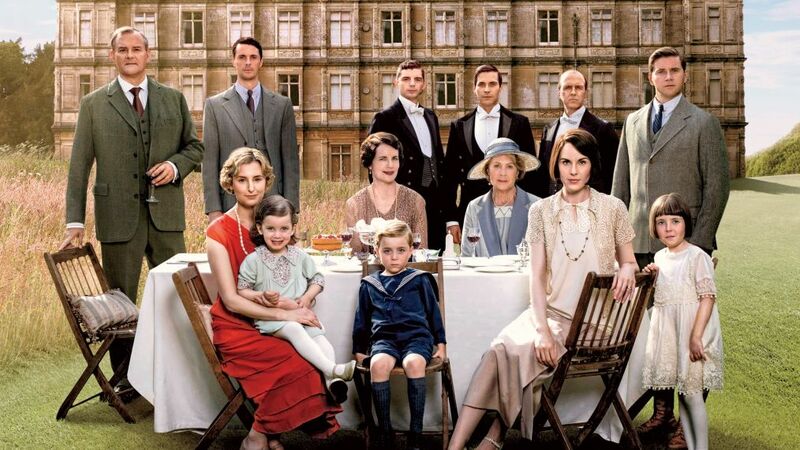 Downton Abbey ran for six seasons on MASTERPIECE on PBS in the United States. Over 26 million people watched the drama and the series gained 69 nominations including winning multiple Golden Globes, Emmys, and BAFTAs. Tickets for Downton Abbey: The Exhibition are on sale now. Visit downtonexhibition.com for more information.